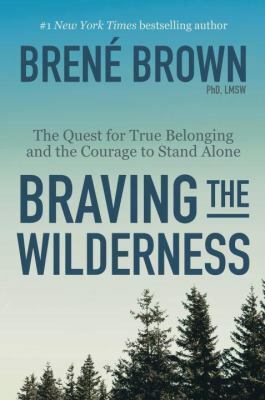 I have read (and loved) all of Brené Brown's books and her latest is no exception! This summer I was had a front row seat to see Brené speak when I attended the American Library Association Annual Conference. It was exhilarating to hear her talk about this book before it came out. Like her other books this book focuses on her research. This time on the topic is courage. I loved this book so much that I listened to it twice in a row before returning it. I would recommend listening because there's nothing like hearing Brené read her own words. She has such great storytelling along with the research elements and this book is an incredibly interesting one to listen to. I can't recommend this book highly enough!